We're always pleased to be able to serve our customers on our doorstep in Pembrokeshire. 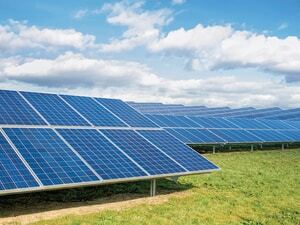 As a family run business, although we've been involved in many large commercial projects around Wales and the UK. We always like to be able to serve the clients that got us to where we are today. With a surge in people working on home improvements and extension. More and more people are turning to extensions of homes, additional outbuildings for extra rooms or office space or even a man cave/shed. Whatever your ideas on your property. Our range of excavators mean we've never had more capacity than we currently do to take on home projects. We've recently worked on small home projects including the reshaping and cut out of driveways including the laying of new gravel through to small garden projects where landscaping and reclaiming land has been the focus to give the garden a new lease of life. Whatever you have in mind. 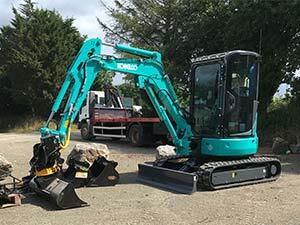 Our range of mini diggers, starting at 1.7 ton will allow us to carry out the work you require. 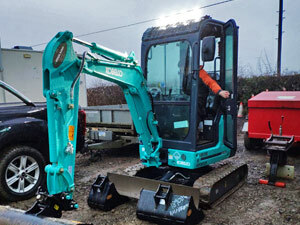 Why choose operated diggers over self hire?. Whilst many people will want to hire a mini digger to do the work themselves. 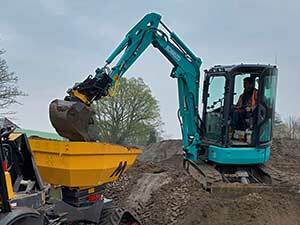 Having an operated digger and skilled operator means the specialist attachments not only operate efficiently and at speed but also operate safely. We're fully insured for all the forms of work we carry out. Including digging for new electricity feeds, water and utility installations plus all forms of septic and drainage work. All these pieces of kit are costly to begin with so having a skilled operator on the machine ensures you get the best out of the digger whilst on hire. The 2.7 machine is perfect to fit into tight spaces and down the sides of houses to work on patios, decking, water features, soil pipes and much more. What work can the mini digger carry out? The machine is also great for working in agricultural sheds such as parlours and processing plants due to its small size and compact nature. This is particularly key when coming to the ends of a building project and everything becomes tighter and space conscious. From our main yard in Haverfordwest. The mini digger fleet is capable of taking on work anywhere across Ceredigion, Camarthenshire and of course Pembrokeshire. Whether you need work in Narberth or you live on a small holding in St Davids. 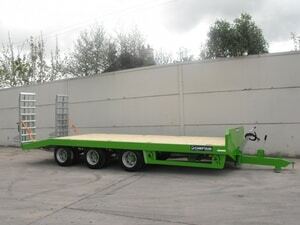 There are no heavy haulage or delivery fees involved in hiring a small machine such as a 2.7 ton. 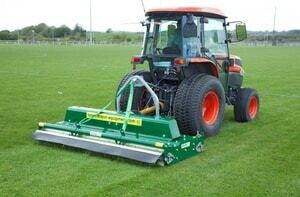 Meaning this type of machine is much more affordable for private customers.